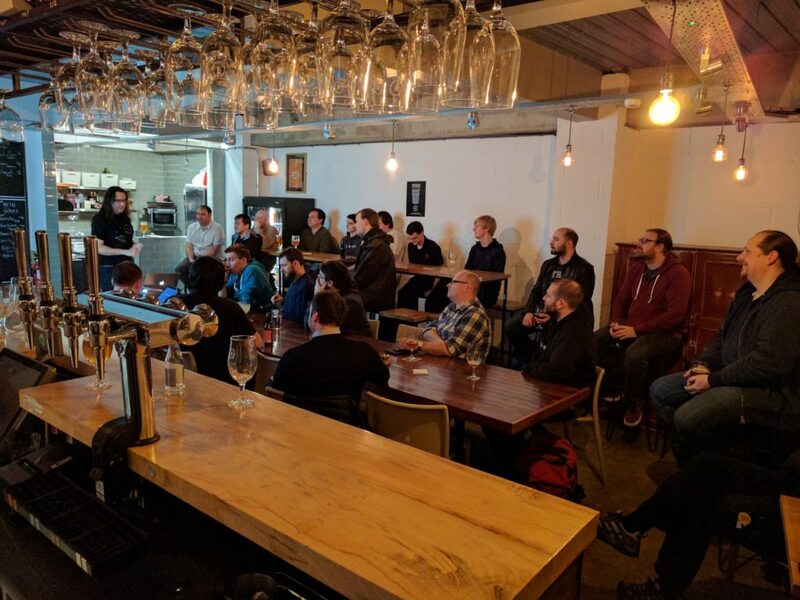 February was a slightly quieter month for NetMcr attendance, but despite the success of January spoiling us somewhat, we still had plenty of attendees to fill the chairs of 57 Thomas Street. For the evening’s event, there were brace of presentations for February, and the first of those was given by returning speaker James Blessing. James beginning his talk with a little history. 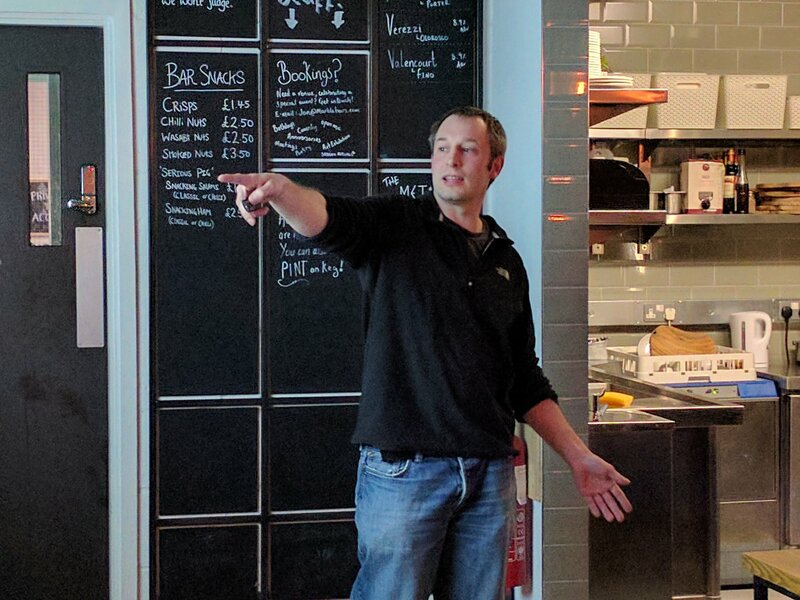 James took us back to basics, with ‘IGP Choices 101’. From the history of IGPs, right through to the differences between IS-IS & OSPF, and why we seem to use them for different applications. There was even an overview of Dijkstra’s algorithm! IGP design choices can make for a tough crowd, but James kept it engaging! For a topic that normally invokes one or two flame wars, James managed to curate well-mannered debate on the subject that was – I suspect – of some benefit to us all. 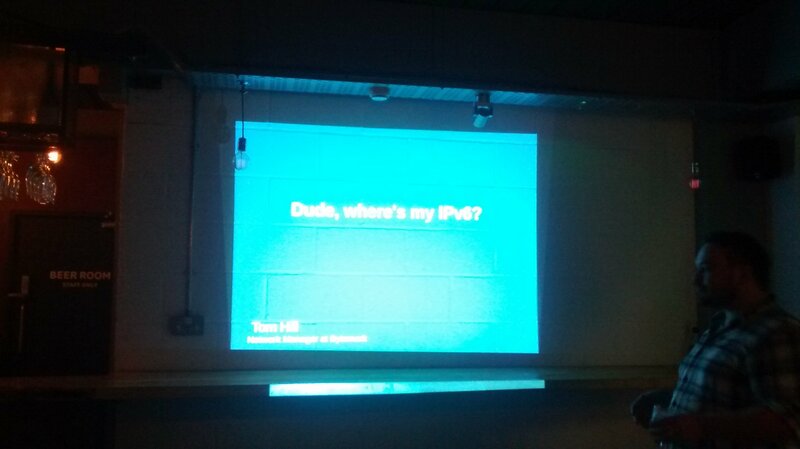 Our second (and final) talk, given by Tim Bray, was entitled ‘IPv6 in Offices’. 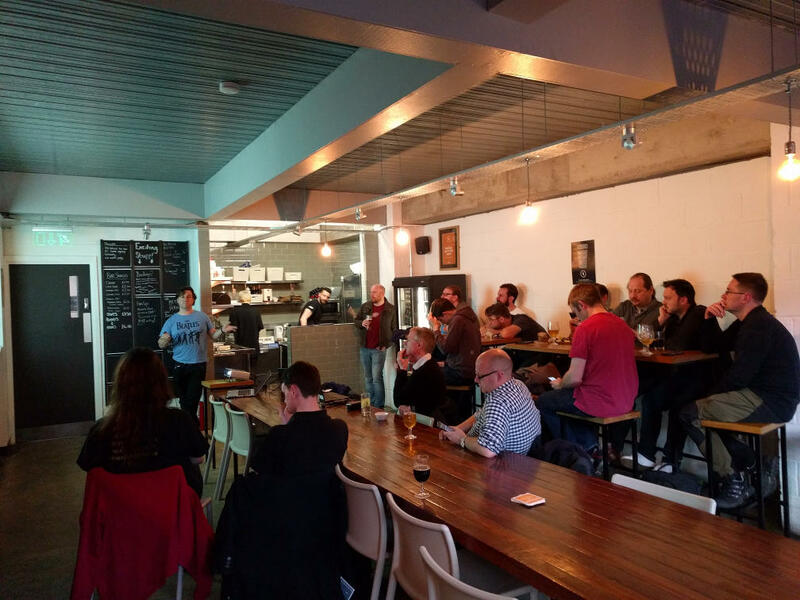 You might think this could be a relatively straightforward topic, but Tim’s talk explained – with recent real-world experiences – that this is anything but a solved problem, particularly with regards to upstream link resilience (such as ADSL failover). I must say this was really quite an appropriate talk given the current work on BSkyB’s network, and a related/ongoing push from Enterprises to take note of IPv6 (even if uptake is slow today). As has previously held true, Tim’s insightful talk gave us plenty to discuss throughout the rest of the evening. We’ll just have to hope he can keep thinking of topics to present on! 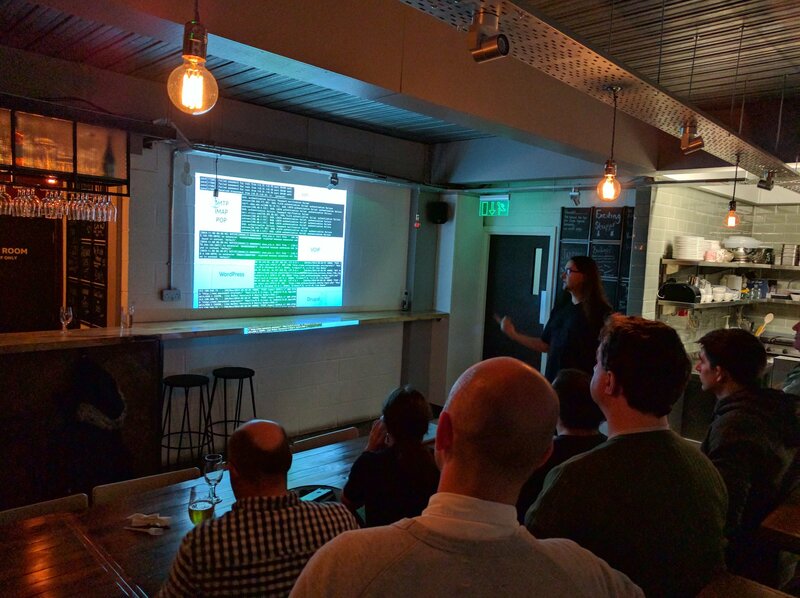 In early December, on Thursday 8th – just before everyone started getting busy with the usual festive celebrations – we were back at 57 Thomas Street for the final NetMcr of 2016. Despite being a little light, we were delighted with the turn-out for December. 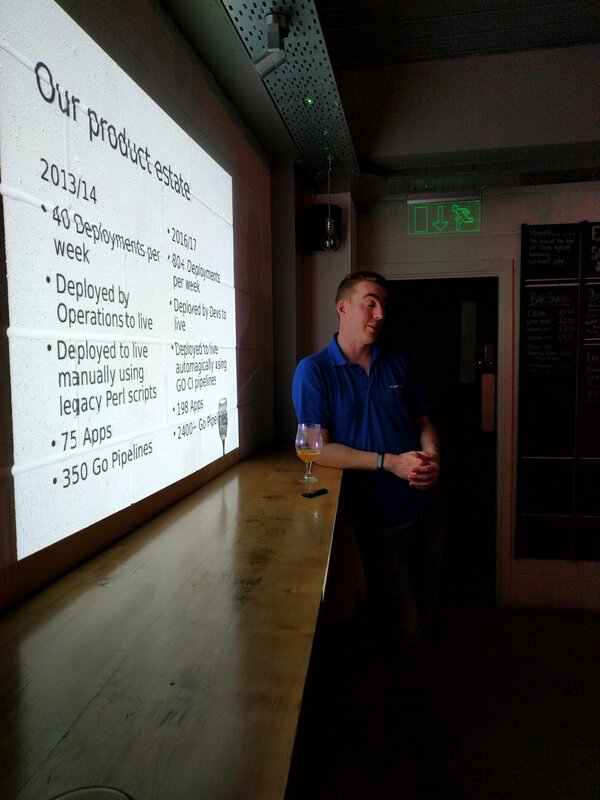 We even found a poor, unsuspecting Network Engineer, enjoying a quiet post-work beer by the window. After hearing about NetMcr and what we had planned, he was more than happy to join us. What are the chances? 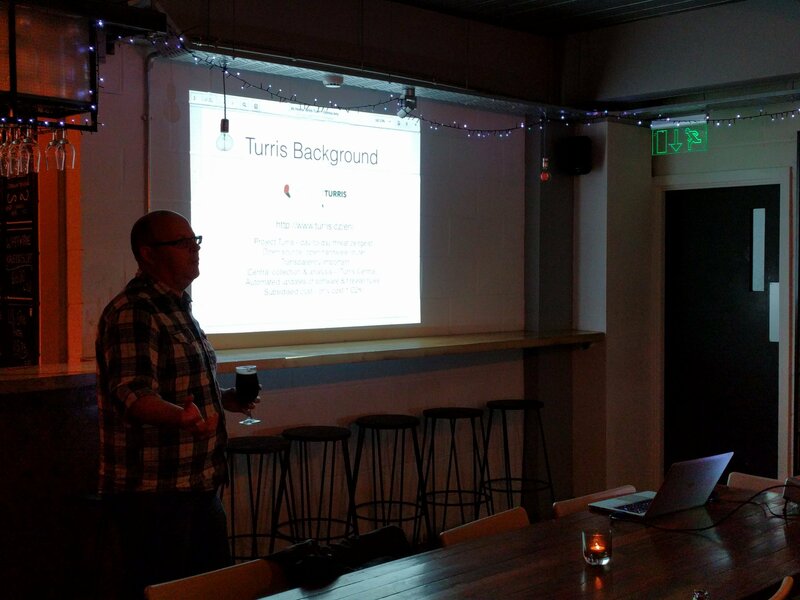 The first talk for the evening was about CZ.NIC‘s extremely popular Turris Omnia router, given by familiar face Mike Hughes. Many talks have been given about this device over the years, primarily by CZ.NIC themselves, however Mike was also kind enough to go into some ‘real world’ detail on his experiences of using one as a daily (wireless) router at home. Mike began with a history of how the Turris Omnia came to be. Despite a few complications on VLAN setup, it sounded like the Turris was serving Mike well. No doubt it’ll cross the minds of those in the room when they’re next considering their home network. James Blessing continued the evening with the second of our two talks, this one entitled ‘1984 was not a training manual‘. 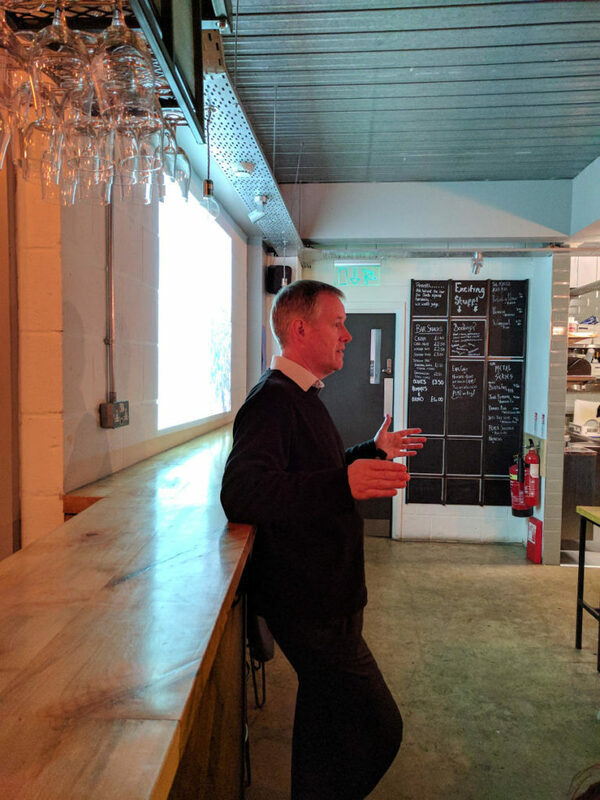 There will be no second-guesses granted as to the topic of his talk – it was of course, a history of the UK Government legislation on surveillance. Specific regard to how past, current & new laws interact with ISPs was given. 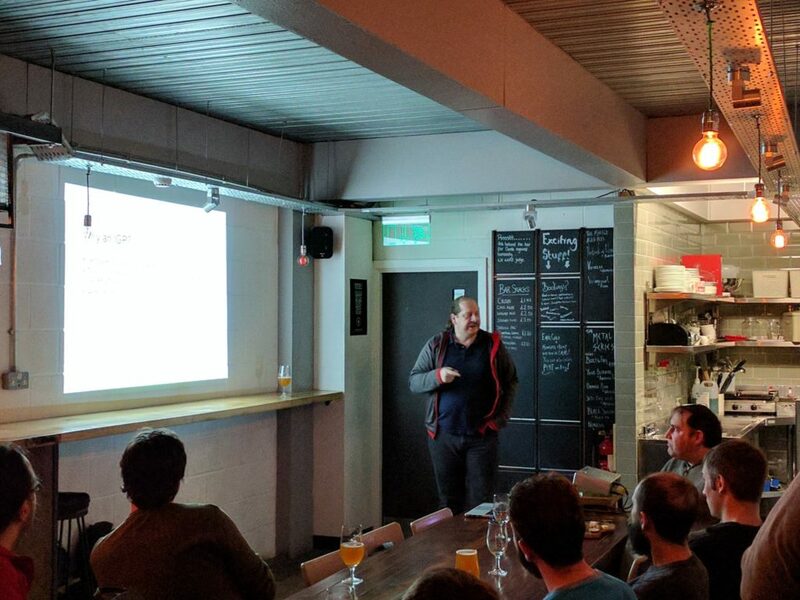 James’ talk had everyone on the edge of their seats; very pertinent subject matter. James’ talk was, as expected, a fantastic account of the legislation involved, and we were all particularly grateful to have someone with his breadth of expertise to speak on the topic. 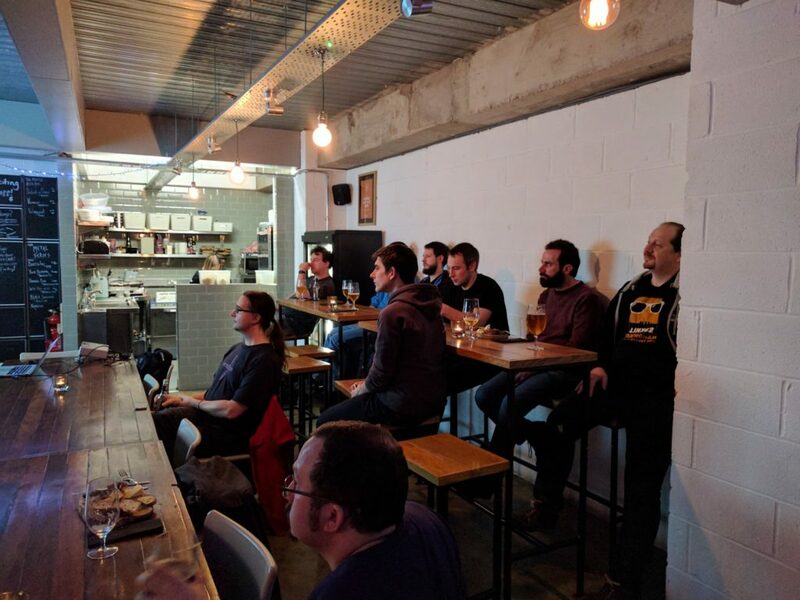 NetMcr #6 will be going ahead as per the usual ‘2nd Thursday’ schedule! We’ll have talks about the newly-passed Investigatory Powers Act from ISPA Chair James Blessing, and also on the CZ.NIC Turris Omnia router from NetMcr regular Mike Hughes. As per ususal, we’ll be occupying the upstairs room of the glorious 57 Thomas Street, starting from 19:00. The first talk is generally at 19:30, so do get there with enough time to get settled. There is also the usual Lanyrd event page for you to keep a track of the evening’s agenda as it develops, and to indicate your attendance. On the 10th of November, NetMcr came once again took place upstairs at the 57 Thomas Street bar, in Manchester’s Northern Quarter. 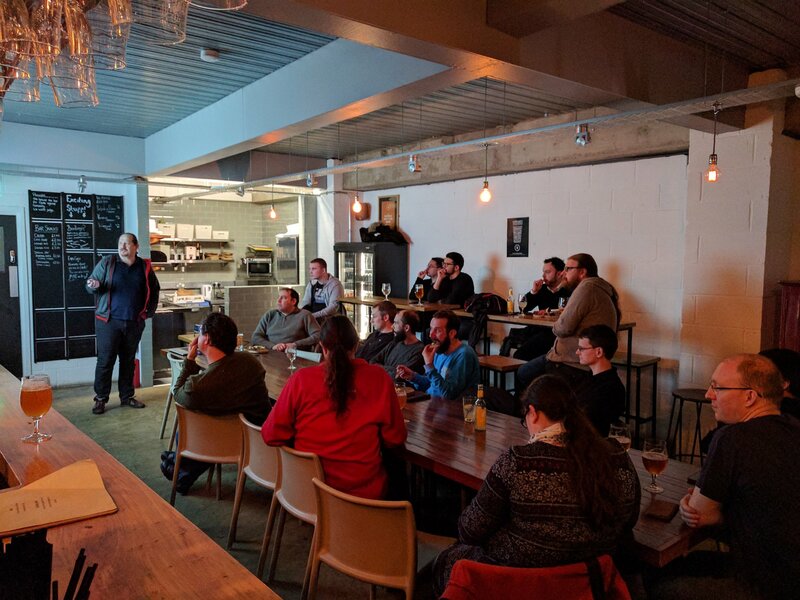 Attendance was lighter than expected, mostly owing to a certain lurgi doing the rounds, but we were certainly weren’t in short supply of fresh faces; one attendee came all the way from Warwickshire, and we also still seem to be getting fresh faces from around the local area, which is excellent. 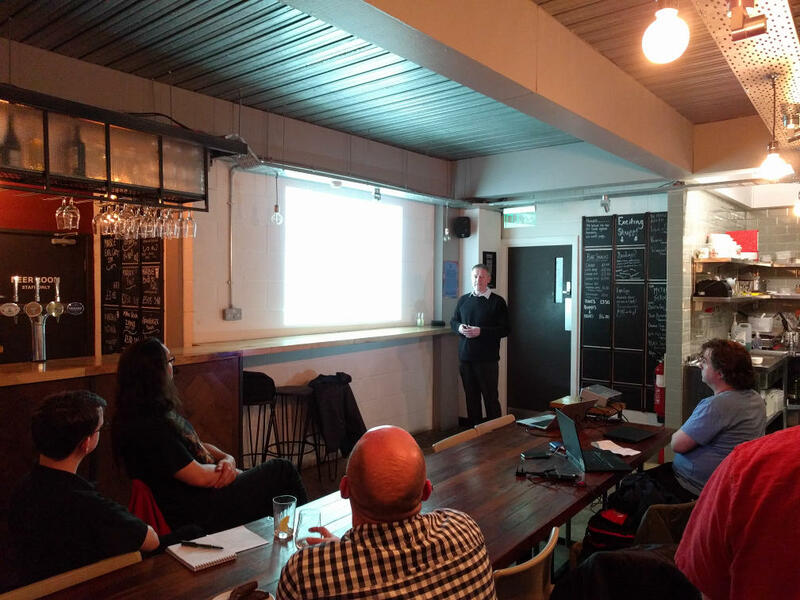 We were overjoyed to have our first presenter of the evening; long-time Manchester networking stalwart – yet first-time NetMcr attendee – Marek Isalski, Owner of Faelix. 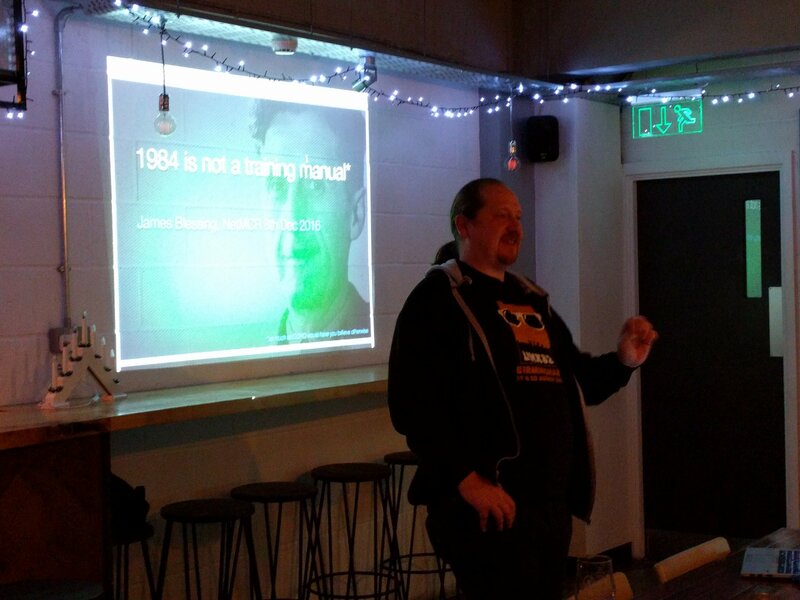 Marek delivering his talk to the engaged audience; thankfully no expletives were visible. 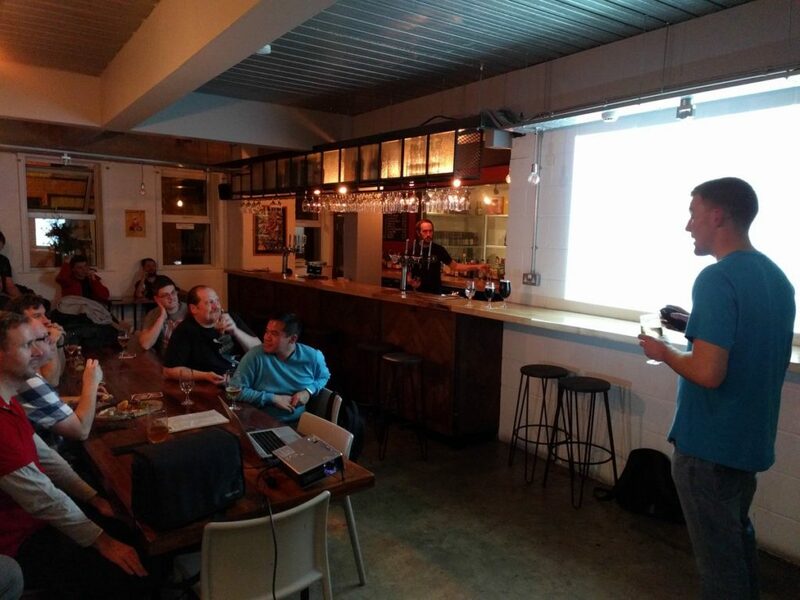 Marek’s presentation, entitled ‘The Naughty Step’, went into fantastic detail regarding the home-grown system that Faelix use to make better use of all the raw intrusion data that is collected as part of routine network operations. Netflow, Fail2Ban, etc. The presentation gave a great overview of just how useful all of this information can be, when put to proper use. 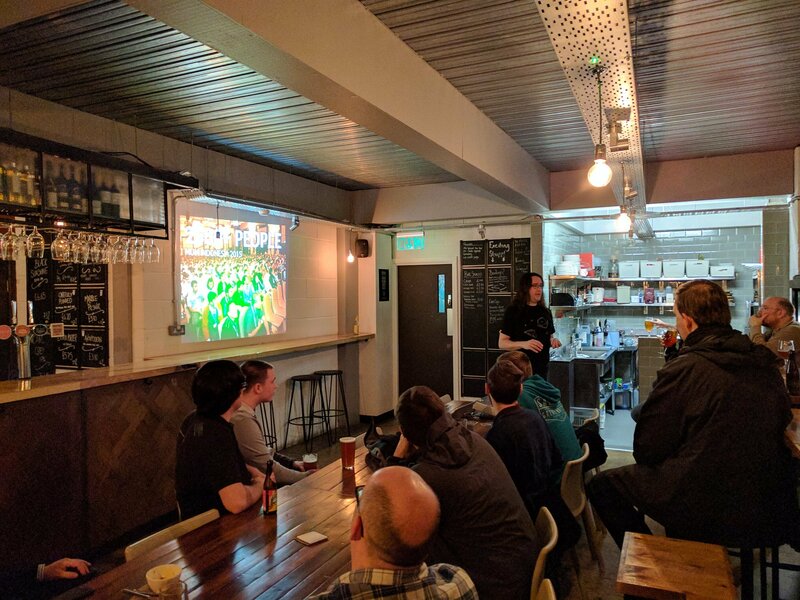 We were treated to a number of end-user success stories (and a few gotchas!) that have really made a difference to Faelix’s response to security events happening on their network. 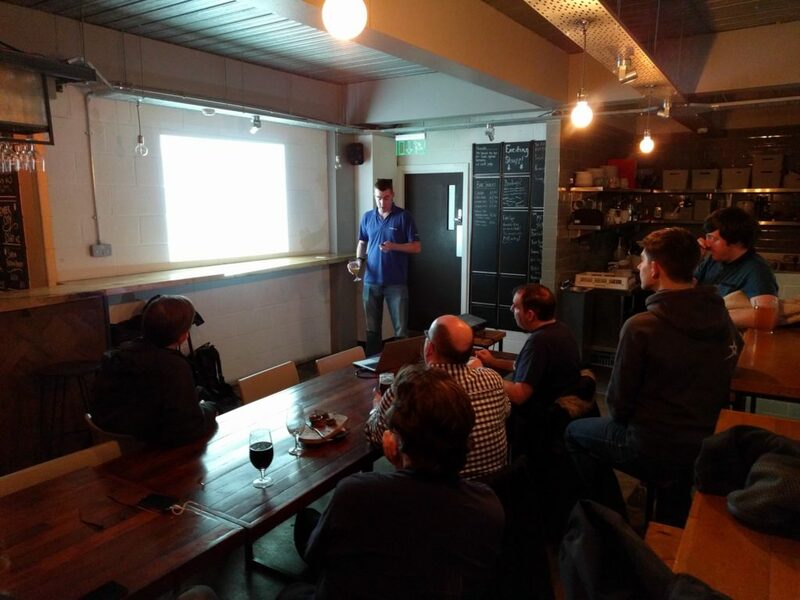 Many parts of Marek’s presentation also went into a bigger topic that was presented at the first Mikrotik User Meeting to happen in London, so we’re very grateful that we could see the brief version before the big event! 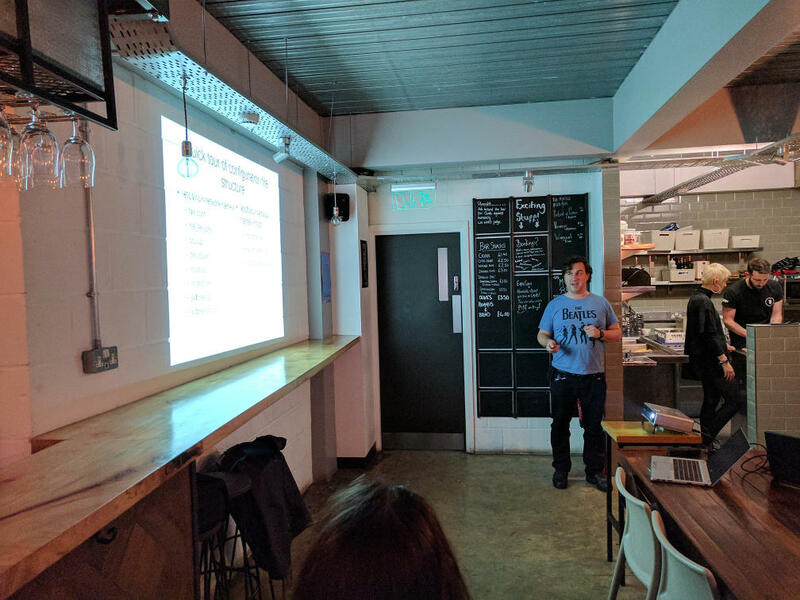 The last of two presentations for November was by Tom Hill, Network Manager at Bytemark, discussing the lacklustre percentage of IPv6 traffic being served towards ISPs with hundreds of thousands (even millions) of IPv6 subscribers, relative to that of larger content producers (e.g. Netflix, Google). Because this was more of a lightning talk, Tom left us with the conclusion that as larger ISPs are now finally pushing IPv6 out to their subscribers en masse, the pressure has now shifted to be on those in Systems, Support & Development roles to enable AAAA records for their public-facing web presence. 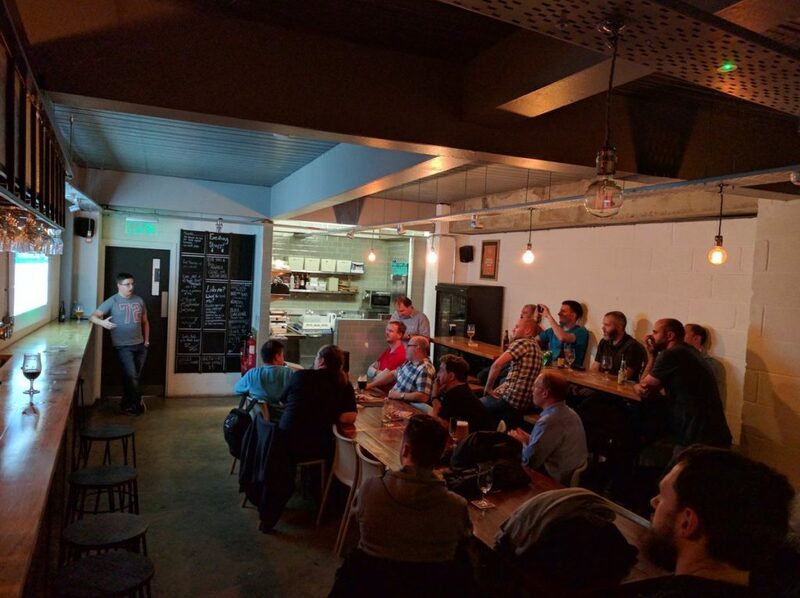 A little later than expected, but I’ve finally gotten around to writing-up the NetMcr event from Thursday the 13th of October, 2016. Owing to a short delay at the beginning of the evening, whilst we waited for the borrowed projector to get to us, the evening started with a little more socialising than usual. 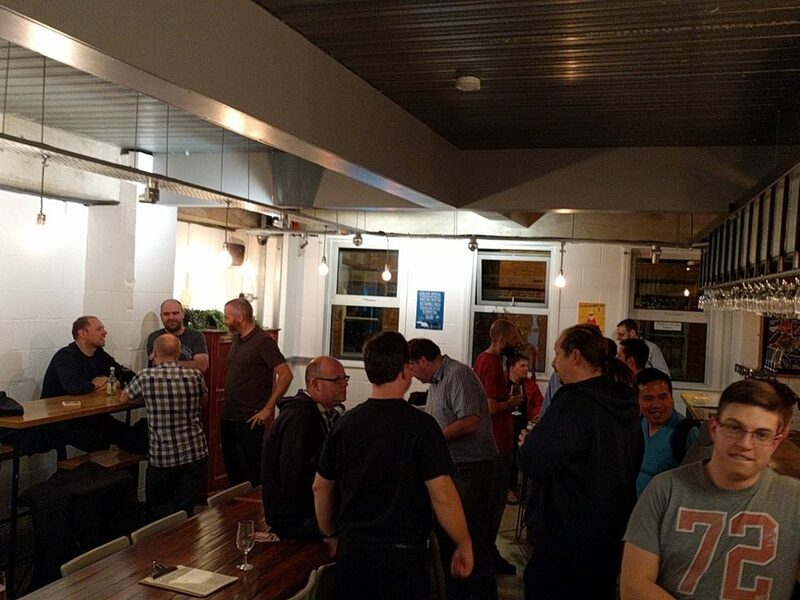 Lots of socialising, discussion and a sprinkling of beer. Not long after this was taken, the projector was retrieved (thank you, James) and the show began with the usual introductions. The first presentation of the night was to be given by Simon Gunton, of Auto Trader. 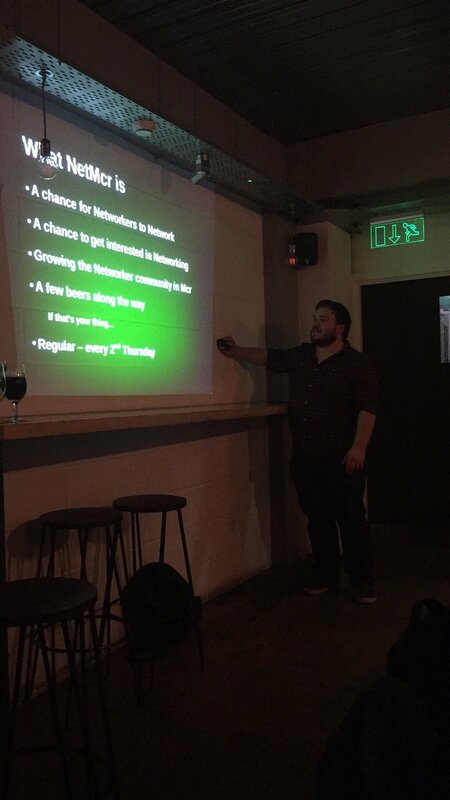 Simon was kind enough to give us some insights on what a hosting network looks like when you’re only building it out for a single customer (albeit a pretty big, important one, such as AT) and he certainly sparked a great deal of intrigue from the room. Simon (right) in full presenter swing. 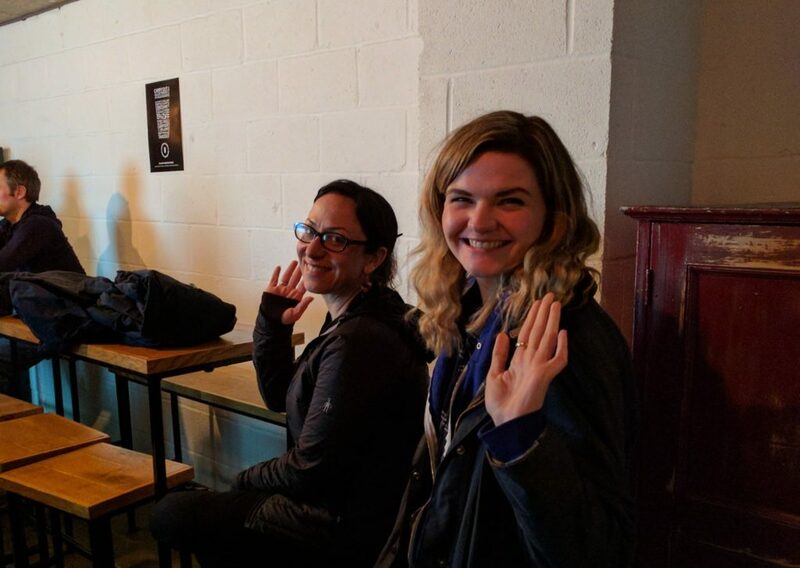 Engaged audience (left). There’s something about Auto Trader that seems to capture our interest; local heroes, or just a well recognised brand? Either way, I’m afraid we’re not able to redistribute the slides from the evening, but I’m hopeful that we’ve made a good impression on enough of the Auto Trader staff to keep them coming back in future months, just in case you’re curious. 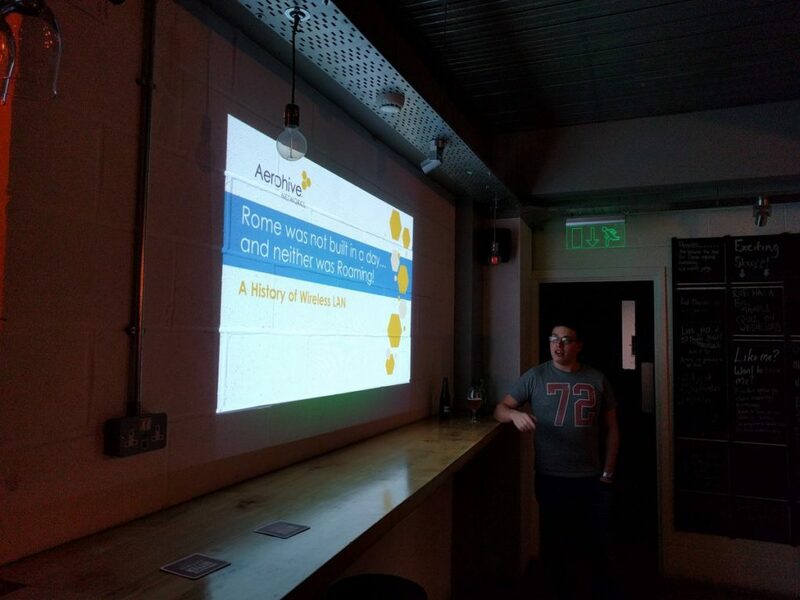 Our second, and last presentation for the evening was by Ashley Nurcombe from WiFi hardware & consultancy company, Aerohive Networks. Ash travelled all the way up from Southampton to give us this talk, so we were really very grateful to have him there on the evening. The presentation ran across a broad range of facets regarding WiFi, as well as some of the more nuanced wireless concepts (including some misconceptions!) such as roaming, and Ash probably spent almost as much time answering questions from the room as he did giving his presentation. Good sport! Unfortunately, we were also prohibited from sharing the slides from the Aerohive presentation. 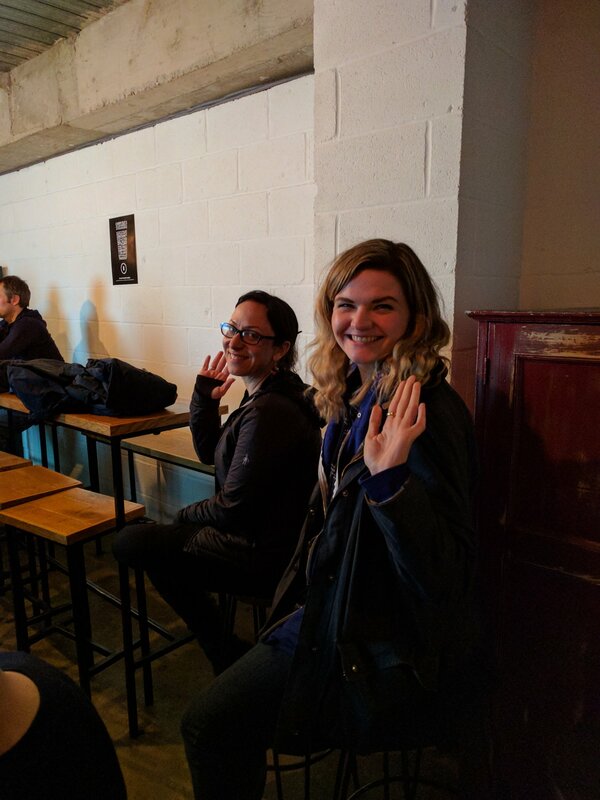 However, Ash (and Simon) are both on twitter – @ajnurcombe and @cessle, respectfully – so do feel free to say hello if you’re interested in hearing more about their areas of expertise. Thanks to everyone that came, the two presenters for their excellent contributions, and we hope to see you all again in November. We’ll be back in the upstairs room of 57 Thomas Street on the 10th of November.